INDUSTRY.co.id - Jakarta - Indonesian Police Strategic Studies Institute (Lemkapi) assessed that President Joko Widodo and Vice President Jusuf Kalla's government policies succeeded in providing a sense of security to the Indonesian people and investors. Executive Director of Lemkapi, Edi Hasibuan, said in a press release on Sunday (25/12/2017) that the Lemkapi survey conducted towards the end of 2017 showed that 68.5 percent said President Jokowi was able to provide a sense of security to the people and succeeded in increasing the confidence of foreign investors to invest in Indonesia. The survey also stated that the public is very satisfied with President Jokowi's policy in managing security with National Police Chief General Tito Karnavian and TNI Commander General Gatot who is now forwarded by TNI Marshal Hadi Tjahjanto. While the number of unsatisfied respondents according to Lemkapi research results is as much as 21.6 percent. 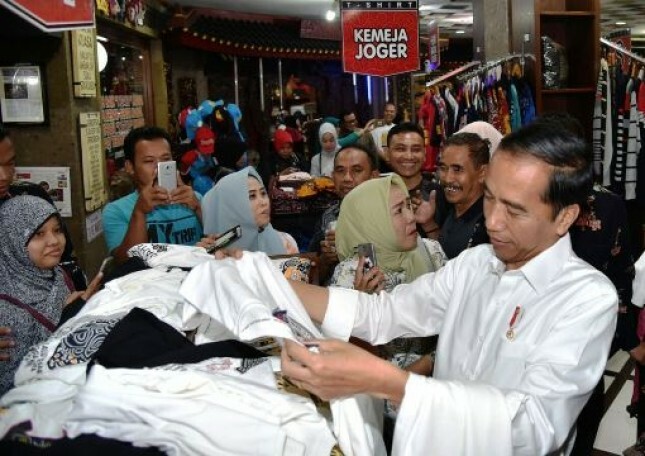 "In this study besides the indicators of satisfaction and dissatisfaction, there is also a very satisfied indicator of the respondents who amounted to 9.9 percent of the security policy in the government Jokowi," said Edi Hasibuan. According to Edi, a number of factors that make people believe in the security apparatus are, among other things, a good synergy between the leaders of the Police and the TNI. "The increasing factor of public confidence in the Police and the TNI is due to the cohesiveness of the two institutions," said the former Kompolnas member. Meanwhile, according to President Lemkapi Faisal Santiago, qualitatively the level of assessment from the community is very high because the figure is above 65 percent. "Community participation is quite good, above 65 percent," Faisal said. Lemkapi conducted a survey of 1,000 respondents across Indonesia in two months conducted randomly across districts / cities from 15 October to 15 December 2017. The survey used a stratified multistage random method (MSMR) with 1,000 respondents with a minimum age of 17 years with a margin of error of about two percent with a trust rate of 97%. Interviewers used face-to-face and questionnaire methods for respondents in each district in Indonesia.